According to the LA Times, Los Angeles police chief Charlie Beck is recommending criminal charges be filed against an officer who killed a homeless man, Brendon Glenn, in Venice last spring. It's a first for Beck, who said he has never before suggested prosecution of an officer for a fatal on-duty shooting. Late last year, a Southern California Public Radio investigation found that one in four people shot by police in LA County were unarmed. 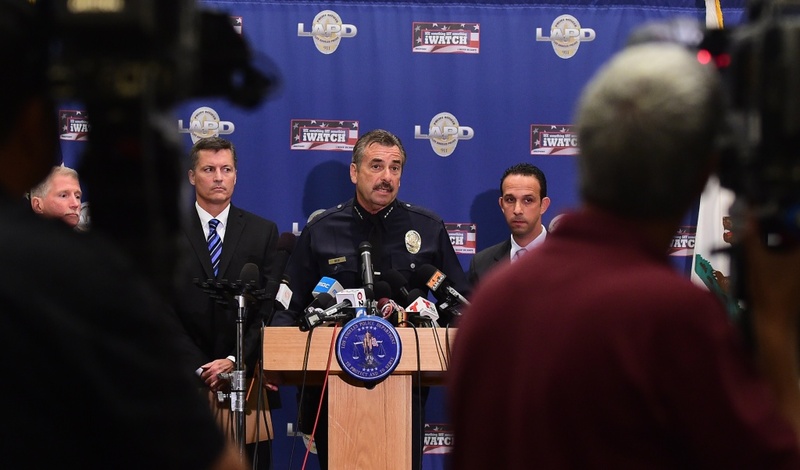 No LAPD officer has been prosecuted for use of deadly force in 15 years. SCPR's Frank Stoltze, who has been following officer-involved shootings in LA County, joined the show to discuss . To hear the full interview, click the blue audio player above.